Send text to a contact (or group of contacts) or to one of your representatives regarding a contact. Texting history is linked to the contact record and logged into GoldMine. Inbound text replies from your contacts are linked and logged into GoldMine. Texting is inexpensive: as low as $0.02 (yes, that's two cents!) per text. Supports all recent versions of GoldMine Premium Edition* (8.0 and later). Check out the various "levels" and related pricing, even purchase online. Register now for a trial version of GoldSMS or purchase the fully functional product. Check out our demonstration videos! With the number of mobile devices connected to the Internet far outpacing desktop and laptop computers, you will want to ensure your business is keeping pace with technology. It's critical that you have the ability to communicate with your contacts in the manner they expect. "Wait a minute... doesn't this capability already exist in GoldMine?" Sort of, but... not really! The existing GoldMine functionality requires that you know the recipient's carrier. Subsequent texting is then performed using the carrier's email-to-SMS conversion process. Good; employees’ carrier is generally "knowable." Excellent; you only need the cell phone number, just like texting from an actual cell phone. Iffy; could only work if 3rd parties reveal which carrier they use. Close to nil; could only work if customers reveal which carrier they use. Few defaults, i.e. phone1, phone2, phone3. Not configurable. May include GoldMine users. System automatically finds cell phone # from main fields. Permits user designation of fields in ini file. Permits selection of Additional Contacts’ numbers. Permits one-off manual entry. Permits listing of GoldMine users via ini file. Message is “chunked” and delivered to modern cell phones as sequential blocks of 160 characters. As low as two cents per text for high-volume users. As low as $200 per year for low-volume users. 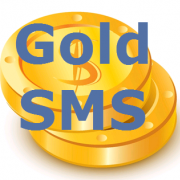 "GoldSMS is a much needed add-on for GoldMine and a great value. No longer having to know the cell provider, the ability to send simultaneous texts to a set of contacts and having texting as a part of automated processes are all fantastic improvements. Steven Graff and the Plain English team have been very responsive to suggestions and have a product that we have all been waiting for. I believe this greatly extends the life of the GoldMine product line. Great work Plain English team!" What's next? Try or buy? Learn more? Many of our clients have more questions at this point... check out our GoldSMS FAQ. Or call your GoldMine Solutions Partner. Or call us at (888)55-PLAIN, ext. 121, or ask for Steven. Register. This is where you'll agree to the Terms and Conditions, and let us know your preference for Area Code. We'll get your new "corporate" Texting number allocated and configure your account. Download/Install/Configure the GoldSMS software. We'll send you the download link and instructions. *Note re GoldMine compatability: GoldSMS has not been tested with GoldMine 7.x, however, there are no known issues we're aware of that would affect compatability.